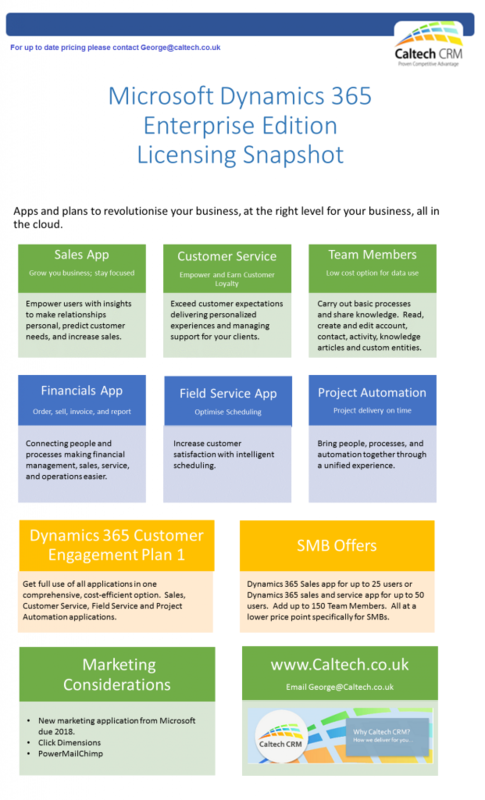 Please see our new Microsoft Dynamics 365 Licenses Explained Infographic, offering you a quick view of the licensing. Dynamics 365 for sales and customer service and the SMB SKUs. Team members are an affordable license to get users basic access to the system. Plans are the best option for multiple apps. For our full licensing page please click here.